This type of survey determines measurements relating to the construction of a property. It controls factors such as elevation, horizontal position and dimensions. These measurements will be used to stakeout the lines and grades for buildings, infrastructure and fences. A floodplain or elevation survey determines the elevation of a building or piece of land, to determine if it is within a flood plain. This type of survey is commonly used by property insurance companies to calculate risk and insurance costs. How Can a Survey Help You? Possible encroachments may become bigger issues down the road. For example, a neighbor’s fence, landscaping or even a building could be on the property. A property corner may be missing. This would be an issue if you ever plan improving your lot. You will need to know exactly where your boundary line is located. If you don’t, you could possibly build on your neighbor’s property and end up with the financial burden of having to remove and rebuild the improvement(s) in the correct location. Possible boundary line or boundary corner disputes. A survey may reveal if there are any potential disputes with the property. 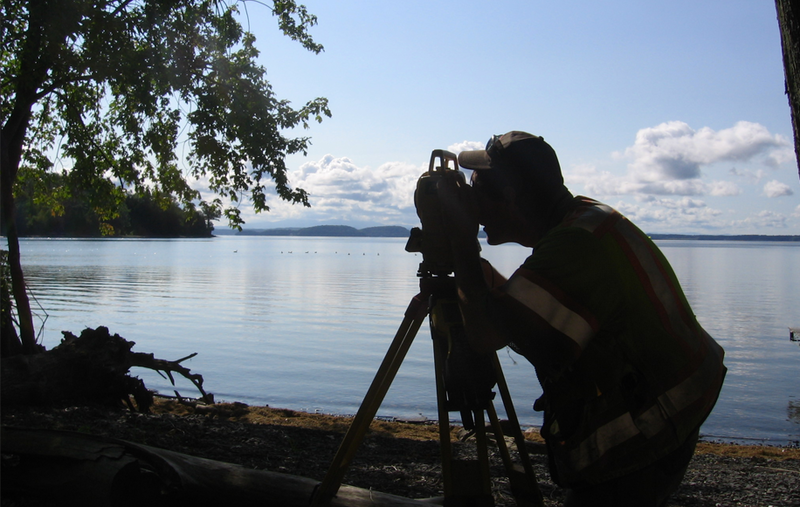 A land survey will help protect your investment. A survey can reveal the exact boundary dimensions, parcel size and location of the improvements on the property such as a driveway that may be crossing a boundary line. Some property owners plan on dividing their land to give to a family member or sell for profit. A land survey would let you know what regulations may affect your plans and will also be required during the subdivision process. Many municipalities place restrictions on dividing property; TCE will help guide you through the process. Your property may be located within a Floodway or Floodplain. TCE can determine for you whether or not your property is located within one of these Federal Jurisdictions and provide documentation such as an Elevation Certificate or LOMA (letter of Map Amendment) to support the needs of your lender and Insurance Company. How Do I Request a Survey? Our experienced staff would be happy to send you a free estimate on your survey project. Contact Mark Day at Mark.Day@tcevt.com or 802-879-6331.